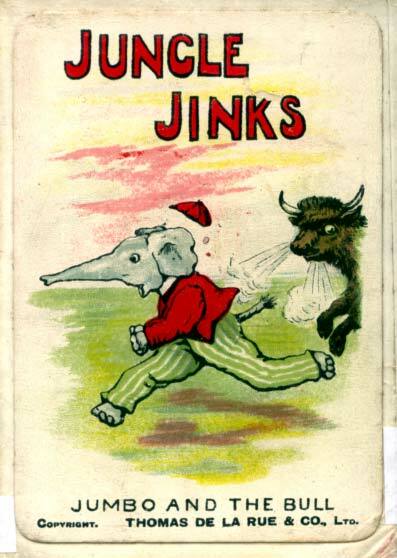 Jungle Jinks was manufactured by Thomas De La Rue & Co Ltd for H P Gibson & Sons Ltd, c.1905. The game consists of 48 cards in 16 sets of three cards, A, B and C. The three cards in each set depict a similar activity (music, sport, danger, snow, bogey-men, and so on), and each card has a title at the bottom. 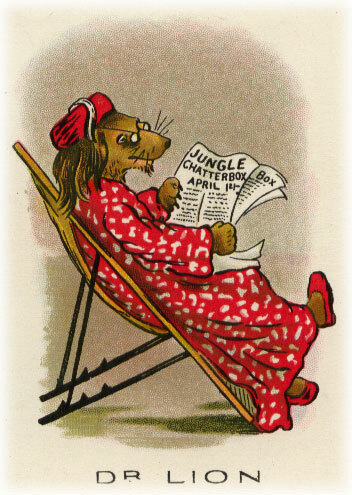 The artwork, by Constance Stannard Chapman, illustrates the adventures and games of the boys of Dr. Lion’s Jungle School. The game is a triplet game (as opposed to quartet as in Happy Families) and players in turn ask their opponents for particular cards required to complete a set, and the winner of the game is the one who completes the most sets. 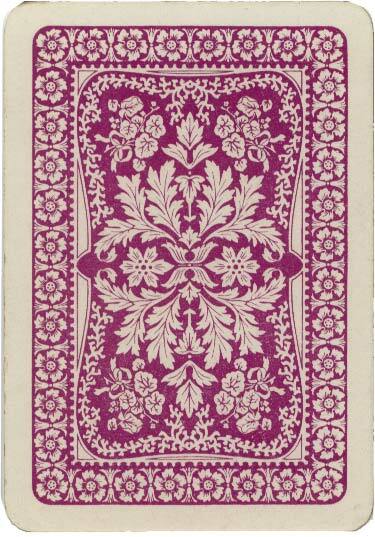 Above: Jungle Jinks card game with artwork by Constance Stannard Chapman, manufactured by Thomas De La Rue & Co Ltd for H P Gibson & Sons Ltd, c.1905. Images courtesy Rex Pitts.